ABC Pediatrics’ provides asthma management services to Harnett County and surrounding areas. We are capable of providing in-depth testing, analysis and monitoring of our asthma patients’ lung status by use of quick and painless spirometry. With spirometry, a patient exhales quickly into a device. Calculations are performed on a computer and the patient’s results are compared to the patient’s previous results and standardized norms for age. The objective data from spirometry is invaluable in evaluating a patient’s true lung function and formulating a plan for treatment and management. Even though a patient with asthma may “feel” fine, spirometry determines how his/her lungs are doing. 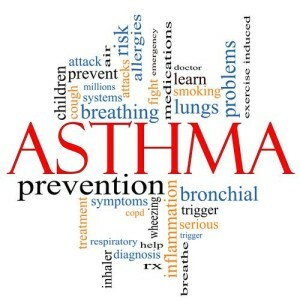 In addition, many of our providers have a special interest in asthma management and stay current on the most up-to-date therapies and medications available on the market to allow their patients to get the most out of their daily living and have the least interference from their asthma.